The Wilson Drone series was a hit in 2015-2016 so Wilson stuck with the Drone name and added more power. Wilson named the new Drone Racquets the Drone X, it comes in at 169 grams. The Drone X comes in two hot new colors so pick your color and hit the courts! These are available in the smaller SS or larger XS grip sizes. A racquet cover IS NOT provided by the manufacturer with this racquet. You have the option to add a cover for $10 if you would like. RacquetWorld recommends changing the grip to a Python (Our favorite), which will be $11.00 installed, for the added traction to prevent slippage. The Racquetworld Grommet Tape upgrade ($1) can save you $$ in the long run as sometimes strings break from the grommet being worn down.For those who don't know what the grommet is, it's the plastic piece at the top of the racquet that the strings go through.When you hit the wall and floor this gets worn down. The Python Atlas string upgrade is recommended because factory string is less playable/durable than the Python Atlas string we suggest. At the time of purchase, the Python Atlas restring upgrade is $22.00. It's normally $36 if you mailed the racquet to us later so you save $14 if you choose the upgrade right away. Another string we highly recommend is the Python Atlas Deluxe restring upgrade ($25.00), and its a little softer than the original Atlas for those players that prefer a softer string with incredible playability/durability. If you choose a vibration dampener go with the Python Vibration Dampner (Our favorite), Head Megasorb, Gamma Worm or the BBB (Big Bad Band). The wristlacer black is the default wrist tether that comes on your racquet at no charge.If you want to change colors, a small fee of $2.95 will be added for switching. A question we get everyday is "What is Grommet Tape? "It's a piece of tape that goes over the head (bumper) of your racquet. Sometimes you need a restring because of a broken bumper.For an extra buck to add this, it could save you $25-40!! 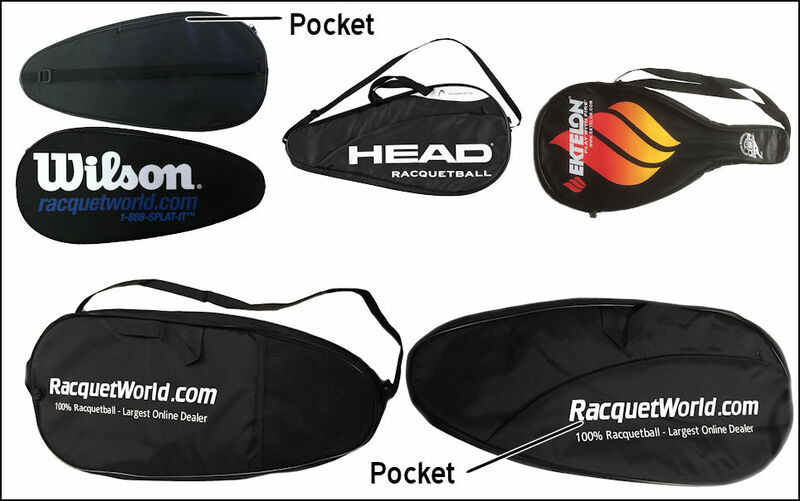 A full racquet cover is NOT provided by the manufacturer with this racquet. You have the option of adding a full cover for $8-10 if you would like. If you want the best cover on the market buy the Racquetworld Cover. It is oversized, has a full outside pocket, a handle strap and a large shoulder strap as well as a ventilated pocket to let your grip breathe and best of all its $2 less than the others because we want to help you by supporting our company! The charge will only be $8.00 when added to the cart for this choice instead of $10.00 like the other covers. I made the mistake of ordering, sight-unseen, a Head Graphene Hades racquet to replace my ten-year-old Wilson NCode. Couldn't hit the broad side of a barn with it. Finally gave up, called the folks at RacquetWorld, and after consultation with their expert, had two racquets sent to me as demo's. One was the Drone X. It was love at first sight. Perhaps because I had played with my old Wilson for so many years, but this racquet fit like a glove. Big sweet spot, perfect weight distribution for my old-man game. Different strokes for different folks, obviously, but if you've used Wilson racquets in the past and are looking to buy a new racquet, I highly recommend this. I also recommend RW's demo program. It's a real bargain. Anyone want to buy a slightly used Head racquet? The Wilson drone X red is an excellent racket it arrived very quickly and it handles as described. I would recommend this racket. I would recommend this company to anyone looking for competitive pricing and quick turnaround. I purchased the Wilson Drone with upgraded strings. Shipping Time was great and was playing again shortly thereafter. Control 1 (Front Court) represents how the racquet handles upfront in the court. We are basically looking at how certain components stacked together to produce good (or bad) racquet maneuverability. To figure this out we look at the weight, balance point, and shape of the frame. We throw all this info into Pat's brain along with a couple hours of hit testing and out pops the rating. This value is useful especially for doubles players who find themselves covering the upfront court a lot. It is also good to know if you are a good server and find yourself quickly putting away returns off your serve without leaving front middle court. Control 2 (Back Court) represents the traditional control rating when taking a full shot from mid to back court. Our goal with control is to redirect the Force of the ball. We again focus on weight, balance point, shape, string pattern and tension, frame stiffness and on court experience. Tough and super lightweight spun fibers protects the frame from catastrophic faliure, just like a bulletproof vest. BLX is the new Wilson Racquet Technology engineered with basalt fibers combining proprietary frame, grommet and grip technologies for THE PERFECT FEEL. BL = Basalt + X = Proprietary Technologies combined for the perfect feel. Basalt can be used in manufacturing and made into fine and ultra fine gold fibers. Basalt fibers are environmentally friendly and superior to other fibers in terms of thermal stability, sound insulation, vibration resistance and durability. Basalt fibers are woven longitudinally with [K]arophite Black to create the most advanced composite in the industry. Like noise-cancelling headphones are filtering out unwanted external noise, Basalt added to the matrix filters the unwanted extreme frequencies that reach the hand. The racquet's ability to transfer impact information is substantially improved. BLX technology delivers a clean feedback and better sensation for the perfect FEEL ! POWER STRINGS - Power Strings design maintains consistent string placement for lethal power on all shots. POWER HOLE - Special string hole for 56 degree string movement to increase sweet spot and power. AGT - Articulated Grommet Technology is the Combination of Power Holes and Articulated Grommet Technology it produces a supremely comfortable yet deadly and explosive shot.